Roger has been in the building industry for over 30 years and is a Registered Master Builder, Licensed Building Practitioner (Carpentry and Site 2) and Site Safe member. Roger currently employs a well established team of highly competent foremen, carpenters and apprentices and has recently employed his son, Luke, who is a Registered Quantity Surveyor. We value professionalism, experience and results above all else. Our team, including our preferred sub-contractors demonstrate a record of achievement and integrity at all times. 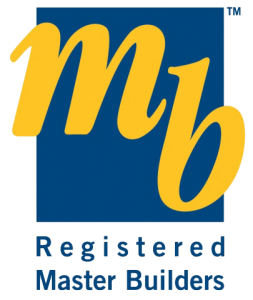 Roger Gilchrist Building Services Ltd has been Gold, Silver an Category award winners in the Master Builder House of the Year in 2004, 2005, 2006, and 2008. We approach each project, large or small, on a highly personalised basis with an aim to ensure that our clients needs and expectations are fully understood at the outset. Our personal approach along with our knowledge and experience ensure that client expectations of time, cost and quality are exceeded on all projects. We strongly believe that our greatest asset is the ability and willingness to work closely with all stakeholders to ensure a collaborative approach to each and every project we are involved in. We aim to create a stress free environment for our clients and always strive to emphasise the importance of good communication. We are proud of our ability to deliver quality construction services and place a high degree of importance on professionalism and results. We produce quality buildings that clients and the community take pride in. Since launching in Oamaru and Wanaka in 1997 Roger Gilchrist building Services has completed a large variety of construction projects, including architecturally designed homes, light commercial buildings, alterations, interior fit-outs and farm sheds. Roger Gilchrist Building have experience in working with educational institutes, government departments and local authorities to deliver residential dwellings, commercial buildings and public facilities. All of these projects have been completed on time, within budget and to the client’s design and quality expectations. Roger Gilchrist Building takes pride in its health and safety track record and ability to successfully manage the safety of workers and visitors to site.